Yap State is one of the islands of the Federated States of Micronesia. The Yapese people celebrate 1st March as Yap Day. On this day they celebrate the ethnic culture of the island Yap by conducting various competitions and activities like running, bicycling, juggling, tug of war, coconut husking, basket weaving, etc. Yap is preserving their culture by mixing the old and the new traditions. Yap is unique with its combination of community-based living while coming online with the modern world. People of Yap honour both lifestyles and mitigate the mix through the vision of today's leaders. While there are two ways of life here, the traditional community values are still stronger than modern lifestyles. 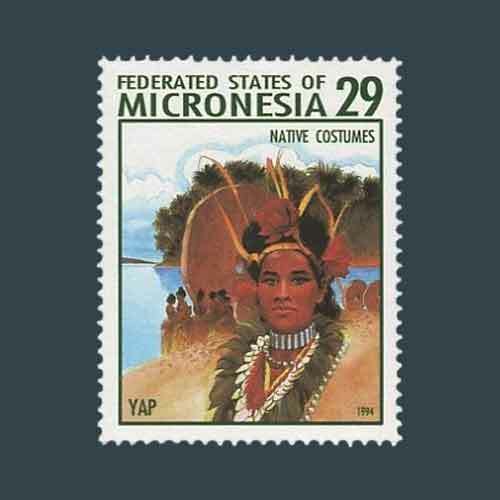 The Federated States of Micronesia issued a stamp on Yap which is depicting a Yapese man in a traditional attire. The Yapese are proud of their culture and will never drop it for any cost. This attitude towards their ethnic roots makes them different from other tribes.